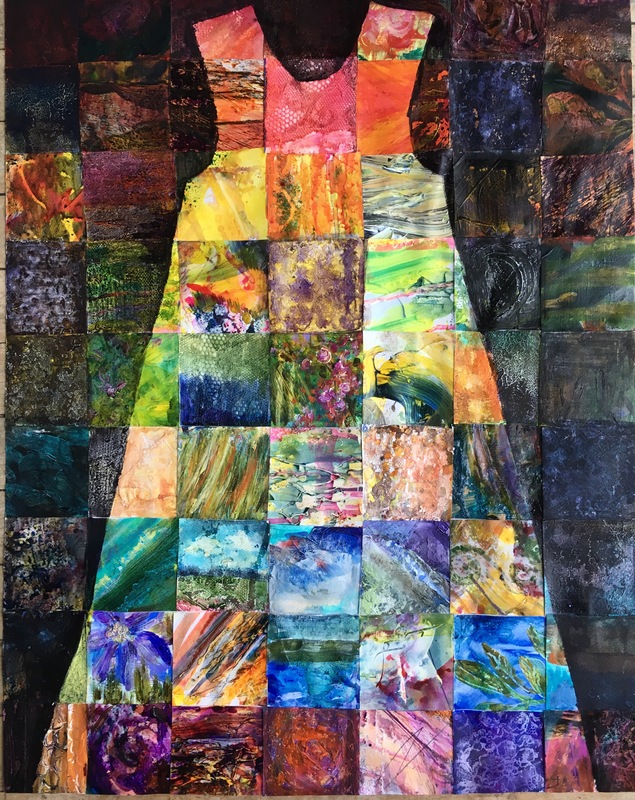 Patchwork dress made from collaged fragments of abstract paintings. I’m just starting on a new series of dress paintings using an ‘A’ line dress shape as a different silhouette – what do you think? I’m planning to make the new series more graphic as a contrast to the 1950s vintage party dress series. 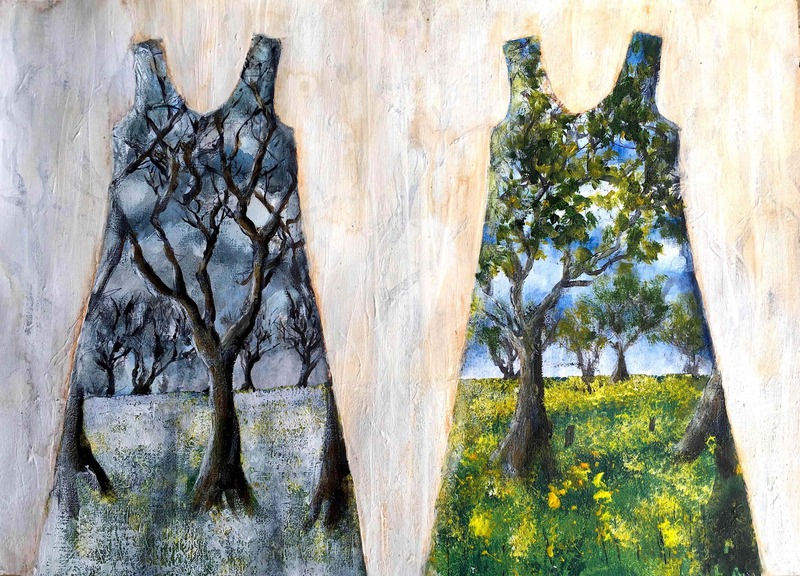 The first painting is a pair of dresses contrasting winter and summer landscapes- Dimdra and Vera’s dresses.